Whether you’re a Liverpool local or travelling from Ireland to Liverpool, Liverpool is renowned for its lively St. Patrick’s Day celebrations. From afternoon until the early hours of the morning, you can be certain of top craic and lashings of Guinness! Liverpool and Ireland are closely intertwined, with their histories crossing paths time and time again. Due to huge numbers of Irish immigrants, Liverpool became known as the capital of Ireland. There were over 83,000 Irish-born people documented in the Liverpool census return in 1851. And with a long standing Irish community today, there are few parts of England that throw themselves into St Patrick’s Day celebrations with more passion. 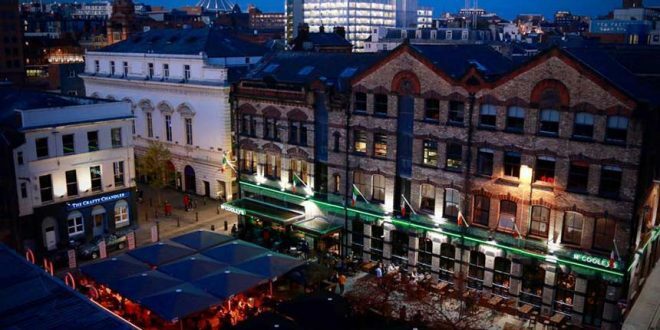 We’ve got a feeling that St Patrick’s Day in Liverpool is going to be a big one this year, so we’ve compiled the best places around the city for some Irish craic. On March 17th, Liverpool will officially be turning from red to green! Don’t miss Liverpool’s highly anticipated St Patrick’s Day Parade. 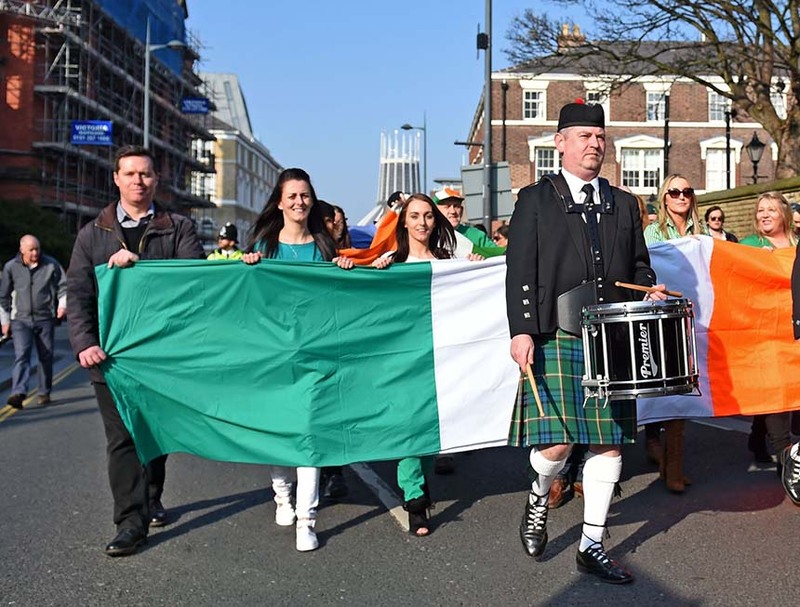 You can bring the whole family along to join the fun from 1pm on Silvester Street, for the Community Parade led by Liverpool Irish Flute Band. This parade will then join the city centre parade assembling on Great Orford Street at 2:30pm. From 3:00pm – 4:30pm the festivities will then continue with high-spirited music from Fianna Phadraig Pipe Band, Cambria Drum Band and Manchester Community Pipe Band. Expected to be bigger than ever, this is the perfect way to start off your St Patrick’s Day weekend as you mean to go on! You can always count on Independent Liverpool to throw a great party. And of course, they won’t be disappointing anyone this year when it comes to St Patrick’s Day in Liverpool. Located on Greenland Street, bare-brick industrial venue the Great Baltic Warehouse will be kicking off the weekend in style. You can drink the bar dry with delicious choices from traditionally Irish food to an array of Irish drinks. Your favourite independent restaurants will be adding their own special twist on Ireland’s signature dishes, while local bands will be providing the perfect music to accompany your best Irish jig attempt. And best of all, you’ll have everything you could need within this one striking venue, so you can forget strolling the streets from bar to bar. Sit back, chat with friends and celebrate the big event with an Irish whiskey in hand. Located on the corner of busy Concert Square, you can be certain of a lively night at McCooley’s. A favourite for students and young professionals, this is the go-to place for everything Irish, from food to sports and music. From 8am you can set yourself up for the weekend with a hearty Irish breakfast. Offering a Paddy’s Day deal, you can enjoy their Irish Fry & Pint of Guinness deal for £8 before 12pm. This will be accompanied by live music from 10am to 12pm. Food is served throughout the day, featuring tasty burgers and McCooley’s signature pies. And with drinks ranging from Guinness Golden Ale, Irish Whiskeys and stylish cocktails, you’ll be spoilt for choice as you dance the night away. McCooley’s will be open until 4am, so you can be sure of a big night out. 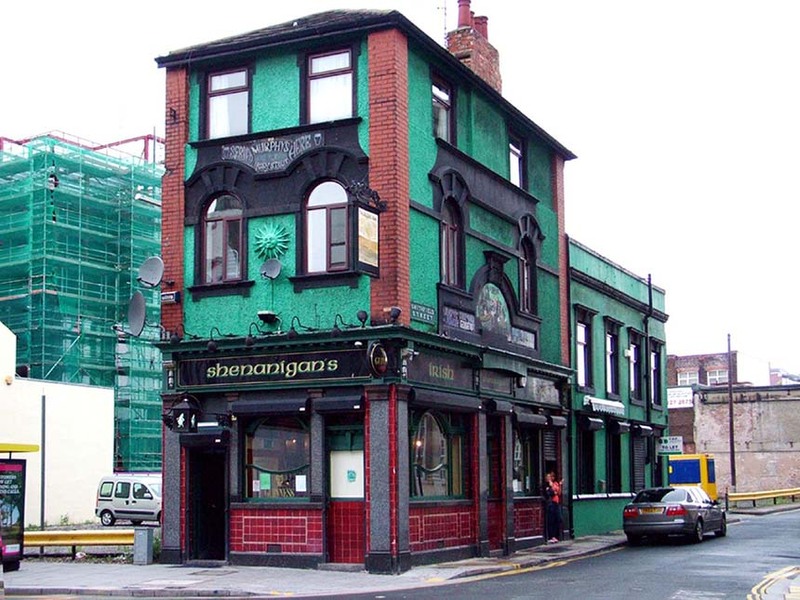 Of course, it just wouldn’t be St Patrick’s Day without a visit to one of Liverpool’s friendly Irish pubs! With its own online merchandise shop, it’s safe to say that Shenanigans has cultivated a dedicated Irish community. Expect to be welcomed with open arms at this top Liverpool venue, with quality drinks and dynamic live entertainment. 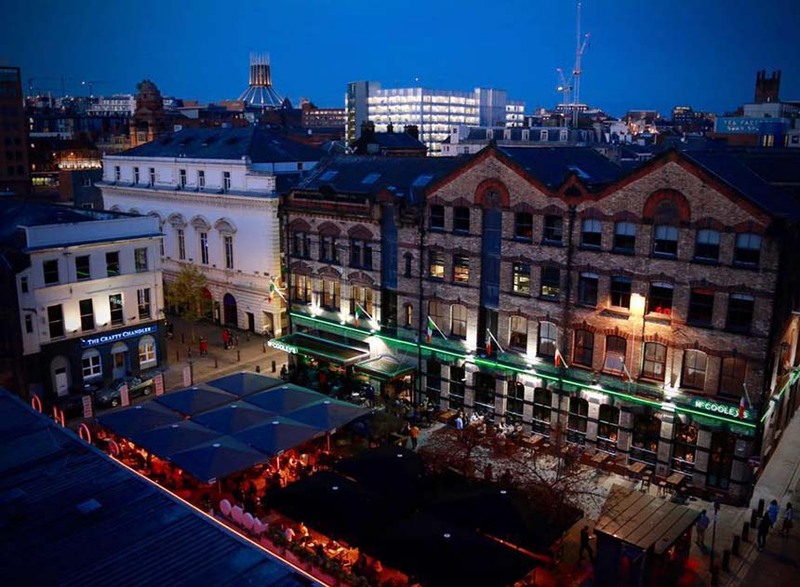 A short walk from the city’s iconic Mathew Street nightlife, a visit to Shenanigans is the ultimate way to start your Paddy’s Night right. And don’t worry, we won’t judge if you’re there until closing time. 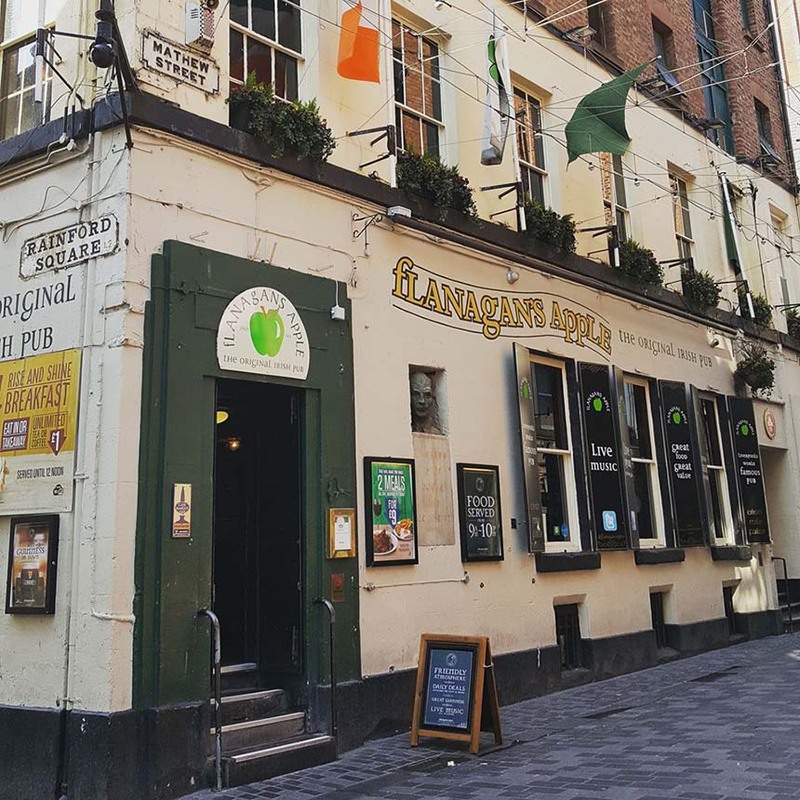 One of the best-loved Irish pubs in Liverpool, we recommend a trip to Flanagan’s Apple. Quality Guinness. Live music. Irish style fare from breakfast until late. What more could you need for an unforgettable St. Patrick’s Day? Breakfast is served until 12 noon, so this is the perfect place to start your day before the drinks start clashing together. And with handpicked craft beers and ciders, you can be certain of enjoying only the tastiest St Patrick’s Day at Flanagan’s Apple. 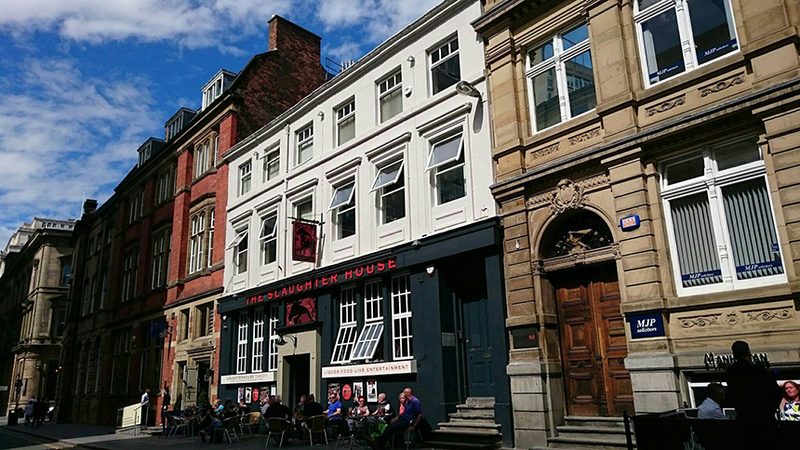 You’ll find the pub on one of Liverpool’s most busy streets for nightlife, surrounded by local favourites such as Bar Signature and the world famous Cavern Club. 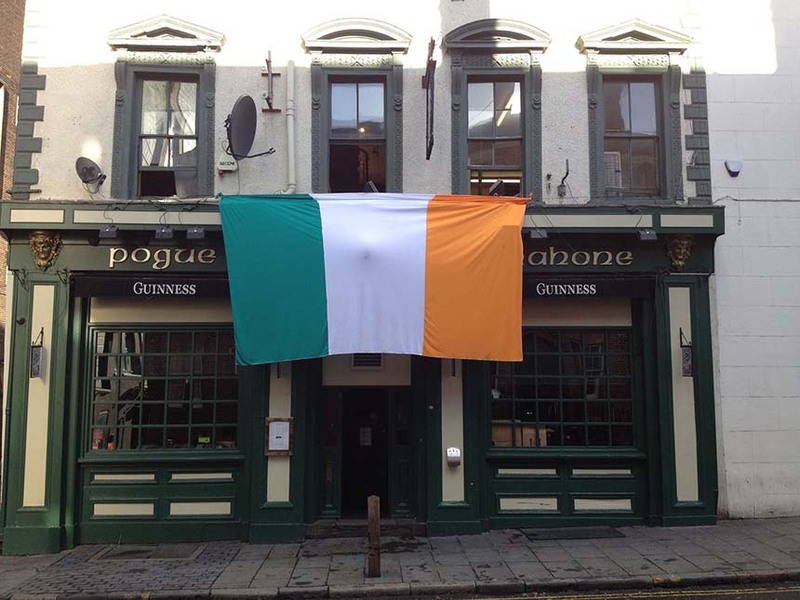 A warm and friendly Liverpool favourite, Pogue Mahone offers an Irish experience like no other. With a truly Irish feel from the moment you enter, make sure you seek out the cosy pub’s nooks and crannies before sinking into one of its deep leather chairs by the fire. With smooth pints of Guinness flowing from the bar and delicious meals to keep you going, expect an an atmospheric night of traditionally Irish festivities. 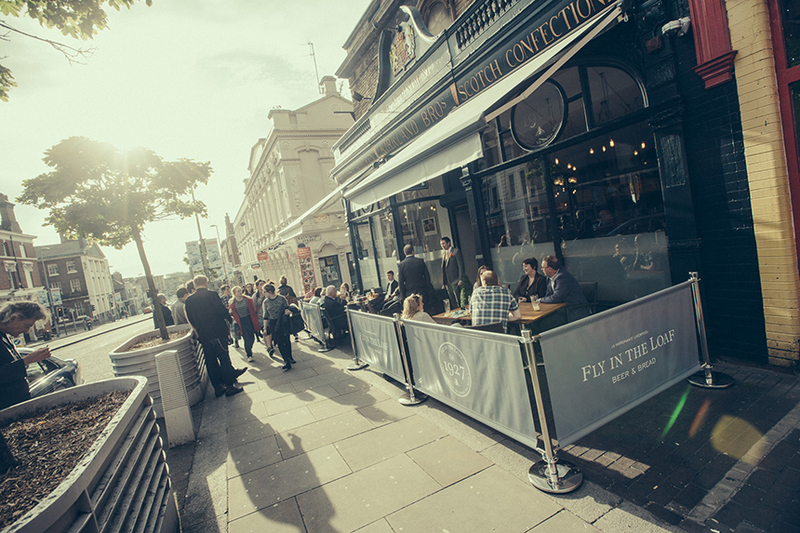 A favourite amongst Liverpool locals, this is a great spot for lively conversation with some of the city’s best characters! If you ask a Liverpool local about Bongo’s Bingo, you’re likely to hear about crazy prizes, rowdy bingo and some definite dancing on tables! 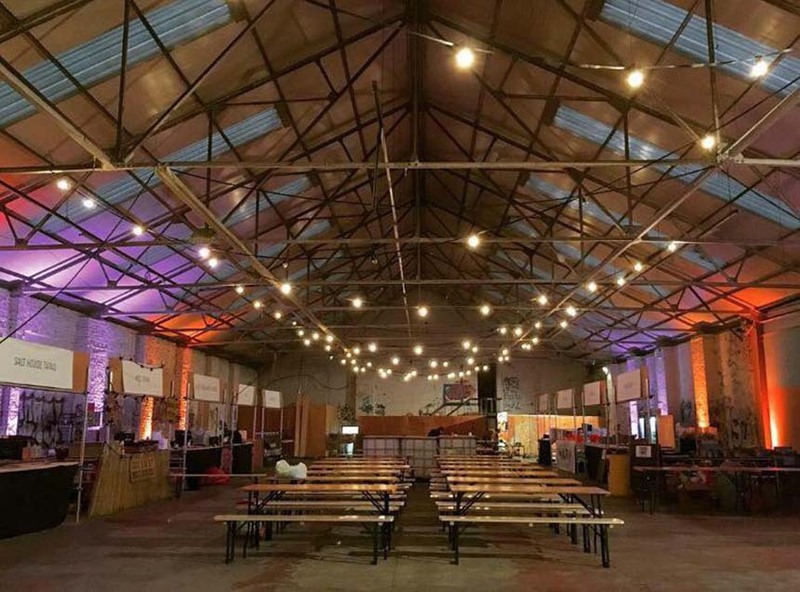 Located within Liverpool’s iconic Camp and Furnace warehouse, this St Patrick’s Day special is certainly not to be missed. With an incomparable atmosphere, Bongo’s Bingo caters to Liverpool’s 90s nostalgia with previous guests ranging from S Club to the Vengaboys. 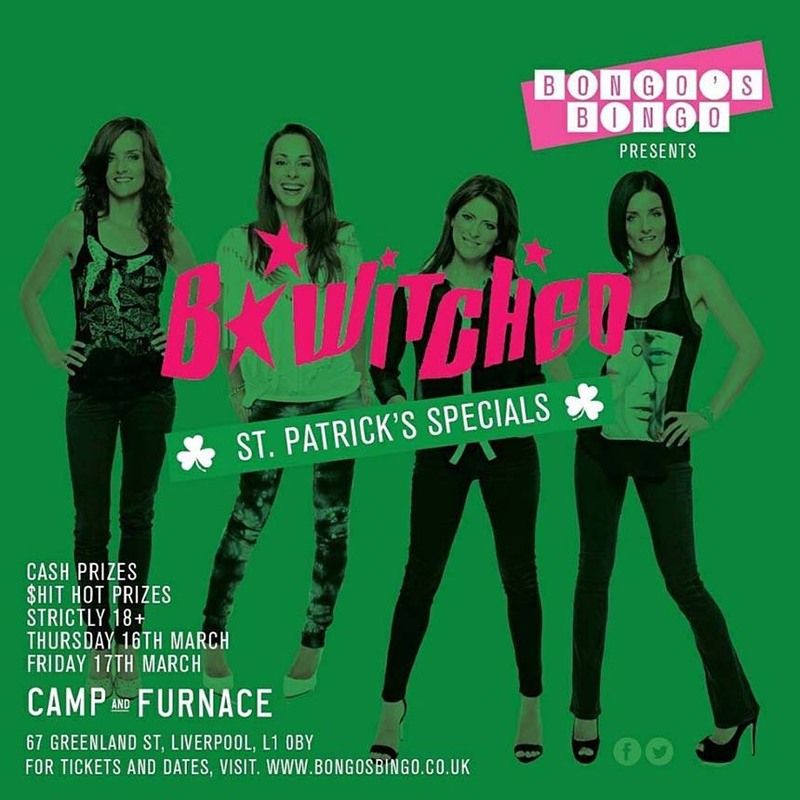 So, who could be better for St Paddy’s Night than the ultimate Irish girl gang, B*Witched. You may not plan on shouting along to the words to C’est la Vie, but we guarantee that you will be. Here’s to hoping Paddy’s Day in Liverpool is a sunny one this year! And if so, the Slaughter House is the go-to spot for some outdoor drinking. One of Liverpool’s oldest pubs, this local favourite was refurbished just last year, so the inside certainly doesn’t disappoint either. It’s well worth heading down to browse their impressive range of ale. 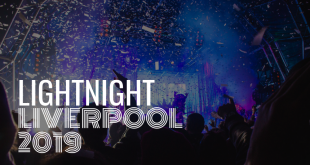 And accompanied by brilliant live music and entertainment, you can’t go wrong with this historic Liverpool venue. Located just moments from Liverpool’s infamous Bombed Out Church, there are few pubs in a better location than the Fly in the Loaf. With a huge range of beers to choose from at your leisure and 16 different beers on draught, this is a great spot for sitting back in the sun with friends on Paddy’s Day.